Ramirez was optioned to Pawtucket on Monday to make room for Heath Hembree, but with Kelly absent, he'll make his way back to Boston. Ramirez has appeared in six games this season, allowing four runs on seven hits and six walks. The Red Sox also purchased the contract of Cuevas from the PawSox, marking his first trip to the major leagues. The 25-year old has a 6.17 ERA through 11 2/3 innings in Pawtucket, striking out eight and walking four. He mixes in a high-80s fastball with an average changeup, and a fringe-average curve, as Chaz Fiorino wrote in September. Cuevas will likely serve as insurance for a Red Sox bullpen that was taxed with 9 1/3 innings in Tuesday night's loss. 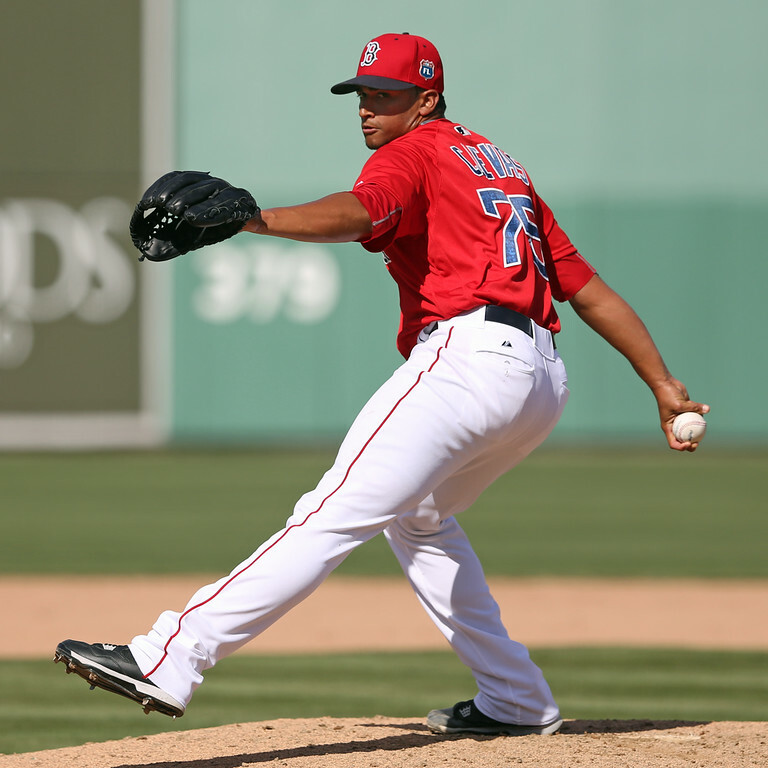 To clear space for Cuevas on the active roster, Boston optioned Hernandez to Pawtucket. Hernandez played in one game for the Red Sox, going 1 for 2 with a walk while starting at second base on Sunday. The hit was the first of his major league career. Before the Red Sox recalled him, Hernandez had hit well in Pawtucket, slashing .286/.375/.429 through six games. Boston designated Escobar for assignment, opening up a 40-man roster spot for Cuevas. Escobar has allowed three runs, none earned, in seven innings for the PawSox. Once a top-100 prospect for the San Francisco Giants, Escobar appeared in two games for the Red Sox in 2014 but missed much of last season with elbow inflammation. The left-hander throws a fastball in the low-90s and shows the potential for a solid-average curve and changeup.